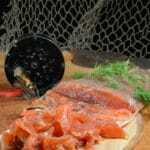 Norwegian gravlax is loved all over the country. It is easy to make, can be served as a main course as an open face sandwich, or with some stewed potatoes and a mustard sauce. It can also be enjoyed as a simple appetizer which we simply dipped in the mustard sauce. Here is a little video to show you how easy it is. Be sure to give it a thumbs up and subscribe to my channel. When you make gravlax you want to use very fresh salmon, get a thick filet with skin, and remove any pin bones. Also plan ahead as it will take about three days to cure. Is is absolutely worth the wait, you will love it! The result is almost candy like! This recipe calls for white sugar which is traditional however brown sugar can be used and is actually my preference when curing the gravlax, feel free to experiment. Both will turn out great! 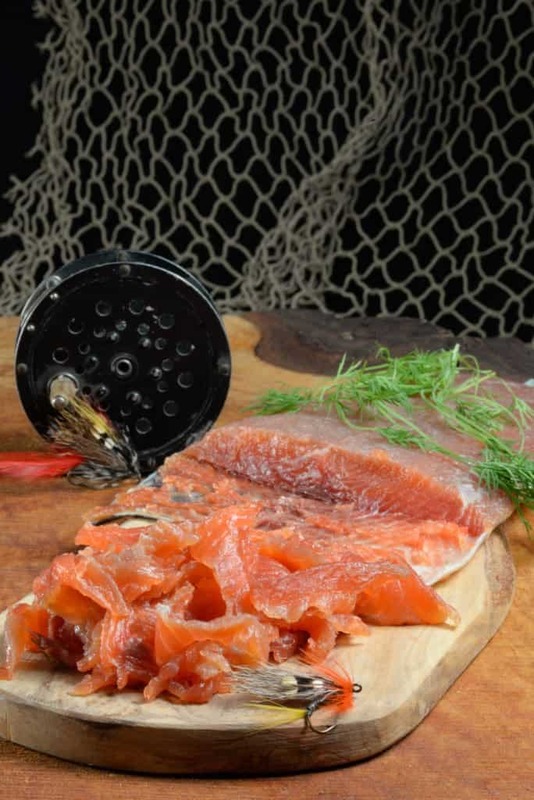 Norwegian gravlax is a delicious appetizer for any occasion. Please just make sure to plan ahead as it takes 3 days to cure. Make it, you will love it! Mix together the salt, sugar and pepper. Sprinkle half the mixture in the bottom of a roasting pan lined with plastic wrap (enough to tightly wrap the fish) Then sprinkle half the lemon zest and 1/2 the chopped dill. Place fish skin side down in pan. Repeat the process on the flesh side of the fish. Wrap up the fish, place a brick or heavy cans on top of the fish. Place in refrigerator for 3 days. Flip the fish over once each day. There will be a lot of liquid in the pan this is normal. After three days, scrape the seasoning off both sides of the fish. In a blender or processor, add salt to the egg yolk and blend. Slowly pour in the oil while slowly blending until the sauce is a consistency like mayonnaise. Add in the sugar, vinegar, pepper and mustard and blend well. Remove and place in air tight container after stirring in the freshly chopped dill. The sauce will keep for about a week in the refrigerator.